20% of the total adult population in America suffer from constipation regularly despite of using commercial laxatives. Constipation happens when colon absorbs water from the stools when they in it for a longer period of time. This occurs due to Lack of fiber, dehydration, inadequate physical activity and irritable bowel syndrome. Apples are considered one of the natural ways to treat and prevent constipation. The soluble fiber present in its skin and other essential compounds provide a laxative effect on the hard stools and enables them to move easily through your digestive system. Here is how apple helps to cure constipation…. Apples are a rich source of pectin (a natural occurring fiber) which bulks up the stool and triggers bowel movements. It contains sorbitol (a naturally occurring sugar alcohol) which acts as natural osmotic laxative to soften the stool and let it move easily through the intestines. It contains both insoluble and soluble fiber. The insoluble fiber works like cellulose while the soluble fiber found in skin acts as stool softener by drawing water into the stool to soften it. The apple skin contains 3.3 grams of fiber. Regular intake of 2 – 3 apples with its skin provides enough fiber content to the body, promotes bowel movement and improves digestion process. 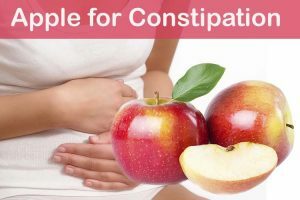 How to Use Apple to Treat Constipation? Apple can be used in many ways to treat constipation and promote bowel movement. Just drinking few glasses of apple juice throughout the day provides enough amounts of fiber and sorbitol which are essential for proper bowel movement. Apart from that, here are few recipes of including apple in your diet for treating constipation. Pear contains sorbitol which helps to treat constipation by drawing water into the intestines. This softens the stool such that it can easily pass through the intestinal tract. An 8 ounce of pear juice contains 7 grams of sorbitol. This process suits for mild constipation. Chop 1 apple and 1 pear into small chunks. Add them to a juicer and blend well. Pour the juice into a glass and drink it. Repeat the process 2 times in a day – once on an empty stomach and again an hour before going to sleep. Prunes contain 15% of sorbitol which acts as a laxative. The Dihydrophenylisation present in prune’s skin stimulates the movement in intestines and increases the fluid retention to soften the stool. This process is best suited for chronic constipation. Combine equal amounts of apple and prune juice. Drink at least 3 – 4 glasses daily to regularize the bowel movement. Note: If prunes are taken for a longer period of time, then your bowel movement may become dependent on it. So, once you get relief from constipation stop taking prunes. Bananas are rich in fiber, pectin and potassium which are very helpful in curing constipation. The enzymes present in it act as a natural mild laxative. Chop an apple and banana into small chunk. Consume the fruit salad 2 – 3 times in a day. Applesauce can cure the constipation for adults when it is taken in a little amount. Too much consumption can worsen the problem because it firms up the stools even more. Here is a quick recipe for bowel regularity using apple sauce. Combine 1 cup each of applesauce, unprocessed wheat bran and prune juice. Mix the ingredients until they get incorporated. Consume 1 – 2 tablespoons of the mixture followed by 6 – 8oz cup of water. Repeat the consumption daily for 2 weeks. If you don’t observe any improvement then slowly increase it to 3 – 4 tablespoons. Note: instead of unprocessed wheat bran, you can use oat bran. Note: This mixture can be stored in refrigerator or freezer in an airtight container. Kids, especially toddlers are more prone to constipation. Kids while getting potty trained holdup their stools and suffer from constipation. So, make sure you are not harsh on them. Include apple juice in their daily diet. 2oz of apple juice twice in a day is considered safe dosage for babies. Make sure to avoid over feeding apple juice as it can worsen the problem. Avoid giving applesauce to babies for treating constipation as it can cause stomach upset and other discomforts. How Much Time Will Take for Apples to Treat Constipation? It depends on the person’s dietary habits and level of constipation he/she is dealing with. You can get relief within a day to a week. If doesn’t show any improvement even after a week, then consult a doctor. If you want to boost the effectiveness of the treatment or prevent chances of constipation in future, then include probiotics in your daily diet. The beneficial bacteria present in probiotics improve digestion and other digestive tract issues. The lactic acid present in it balance the pH of the intestine which promote muscle contractions in the colon and regulate the bowels. 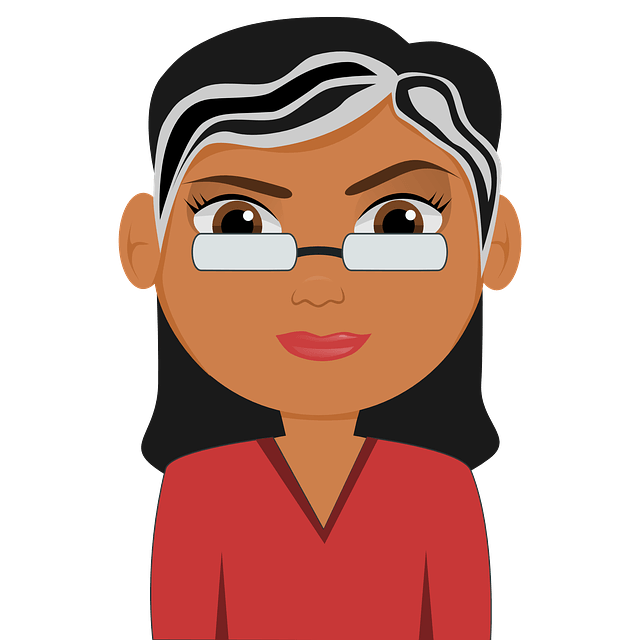 Is Apple Safe to Treat Constipation During Pregnancy? Yes, apples are safe to treat constipation during pregnancy. However, make sure you are not over dosing apples in your diet. You can eat 2 apples in a day to be on safe side. Some people claim that apple has caused constipation for them. Apple certainly doesn’t cause constipation. However, apple consumption should be followed by good amounts of water consumption. Apple should be consumed with their skins on if trying to prevent constipation as it skin contains most of the fiber. As you increase fiber content in your diet to stimulate bowel regularity, initially you may experience bloating. But it will subside within few weeks. Drink plenty of water or juices throughout the day to stimulate bowel movement and ease the stool passage. Avoid caffeinated and carbonated drinks as it can worsen the constipation. Consult a doctor if you are experiencing, rectal pain, thin stools, blood in stool and sudden weight loss. Pushing hard for bowel movements can damage the mucus membranes, lead to bleeding and other discomforts. Relax for 15 – 20 minutes in lukewarm water to reduce the pain and irritation after passing the hard stools. Abuse of laxatives can also lead to diarrhea and other digestive problems. Have you tried apple for treating constipation? Do you have any other method that works best in treating constipation? Share your experiences, suggestions and queries in the comment section below. Toddler magic tea is the best remedy to treat your toddler’s constipation and certain tummy related problems without any side effects. It’s totally organic herbal tea that contains no preservatives at all. I take psylium husks each day just about 40 mls in volume in water, it keeps me regular and I do also maintain I high fibre diet, whole meal bread fruit and vegetables. But becaus eI had a brachitherapy treament it did cause me to a stools that were too firm without intervention. My doctor said to take prune juice & apple sauce for constipation BUT I forgot the mixture percentage !! I believe he said to mix 1 cup of each together BUT do you then drink it all or just by the tablespoon ? And how much time between doses ?